Well, I did it and took the plunge and did it. I could not resist some of the great deals on the Cricut Maker Machine and picked one up over the holidays. I am so excited to get started but there is that moment of - what have I gotten myself into? You see, I am not what I consider to be a "true" crafter or DIY person. For as long as I can remember I have done things like cross stitch, crochet, scrapbooking, sewing - you name it. But I have never really gotten amazingly good at any one thing. Years ago, one of my kids asked me - "Mom, why is everything you knit shaped like a rectangle?" That's me - I stick to the easy stuff. So - the Cricut Maker machine - well, the possibilities are endless. But will I actually use it to it's potential? That is the question. I am banking on it - because it was an investment. 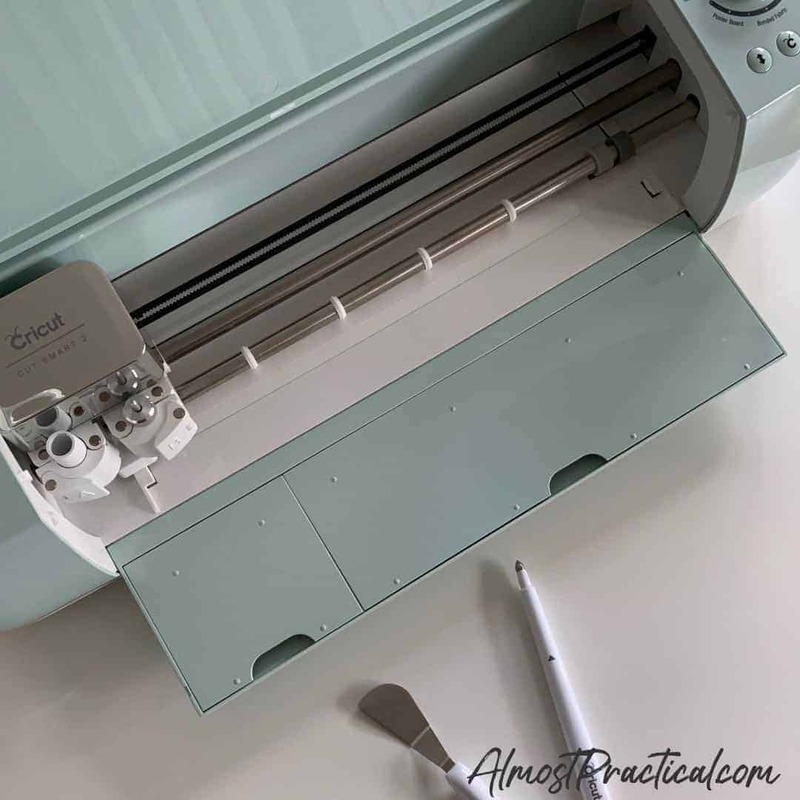 If you are not yet familiar with Cricut - I explain what a Cricut Machine is and what it does here. 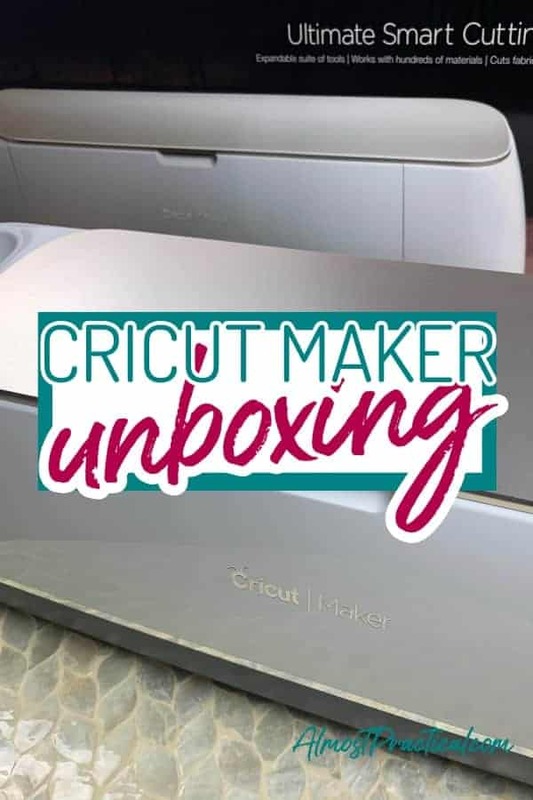 To kick things off, I took a Cricut Maker unboxing video. the Cricut Maker Machine - mine is the Champagne color. Honestly, I was a little disappointed with the included supplies because the Cricut Maker is obviously a power horse that is capable of doing tons of things - but you will need to buy some additional accessories to make it happen. One of the things that I really wanted was a knife blade and housing to cut through chipboard, balsa wood, and even leather - because that capability is one of the things that makes the Maker different from the Explore Air 2. You do need some tools to make working with your Cricut projects easier. I already have the Basic Tool Set, which includes a scraper, spatula, weeder, scissors, and tweezers. I believe that a scoring stylus was included with my Cricut Explore Air 2 but is noticeably absent from the Cricut Maker standard box. Whenever I buy anything from Cricut I typically will consider getting one of their bundles as opposed to just the machine. I made that mistake when I bought my Cricut Explore Air 2, partly because I was so new to it and did not really know about the bundles. 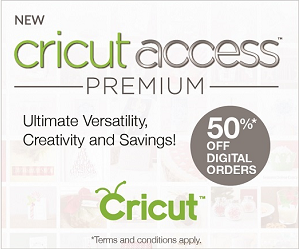 Basically, Cricut offers up a bunch of materials and/or accessories along with a machine all at a lower price than if you were to buy everything separately. I usually am drawn to the Everything Bundles which include tons of crafting materials to get you started. But this time I passed on the Cricut Maker Everything Bundle and went for the Cricut Maker Essentials Bundle instead. (You can see everything that came with that in the video above). They are basically the same price, but instead of including lots of materials, the Essentials bundle included lots of accessories that I didn't already have. The Essentials Bundle includes a variety of 12x24 inch mats (4 in all), a bonded fabric blade, a deep point blade, a washable fabric marker, and a sewing kit. I am glad I went with this bundle, because even though the materials in the Everything Bundle would have been useful, I did not own any of the long mats or types of blades that came with the Essentials Bundle. So, now I feel like I have the tools that I need to get creating. Now, I am not completely new to Cricut because I do have a Cricut Explore Air 2 that I love, but again in true "me" fashion, I have stuck to the easy stuff. You may be wondering why I decided to upgrade to the Cricut Maker when I already had the Explore Air 2. Personally, I plan to use my Cricut Maker to create projects to use at home. One of my weaknesses is anything technology oriented - I am a gadget geek. after all. So the Cricut Maker is a nice intersection of where creativity and technology meet. 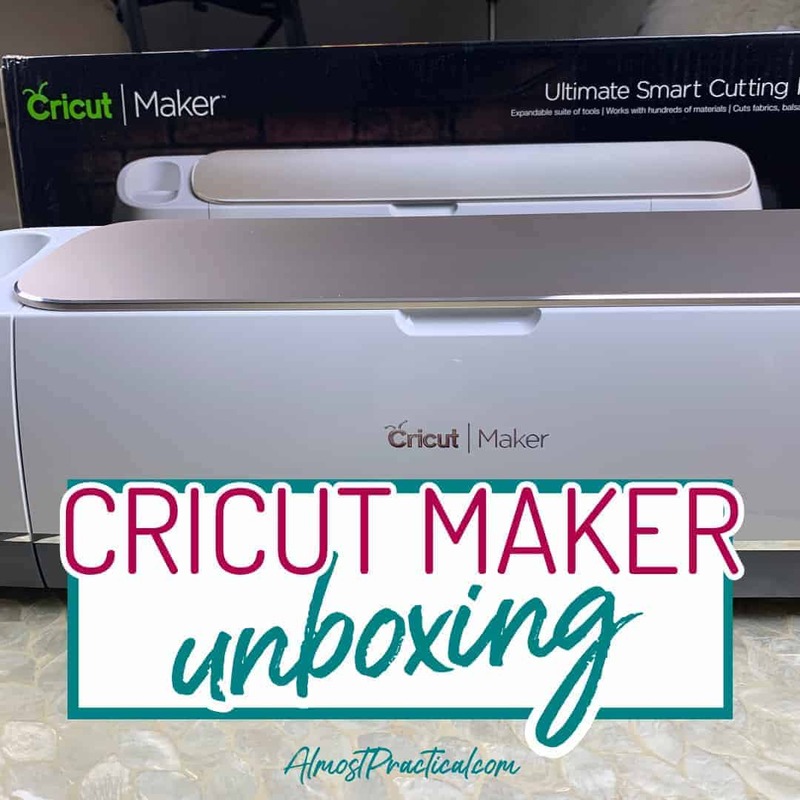 I would love for you to join me as I learn how to use the Cricut Maker machine. My projects probably won't be over the top or profound, but they will likely be simple and useful - and almost practical. Use the form below to subscribe to my newsletter, and I will send out information about my latest projects. Leave a comment below and let me know which one you have and whether you have upgraded and why.